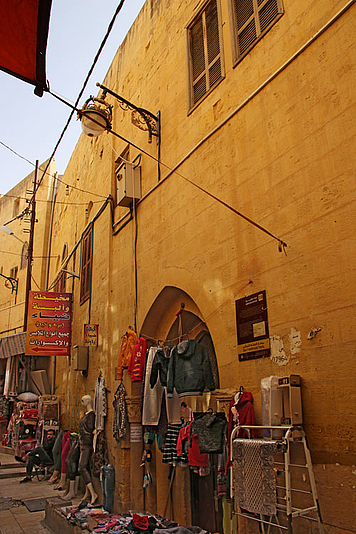 The Muhyar (Mihiyar) Building has a main two-storey façade on Hammam Street, built of yellow stone. The Muhyar House (eastern side) is also two-storey, but smaller and integrated into the street pattern, with twinned windows and three segmental arches. The entrance leads to a semi-circular stairway that connects the lower floor.